Street art is big among the various neighborhoods in Houston. On any given day, you will find tourist and locals alike posing for a selfie in front of some iconic art murals from some of the most talented artists from around the world. These murals demonstrate not only artistic and compelling talent but represent in some cases deep meaning and history for its neighborhood. Below are five street art murals that are a must for taking that selfie while visiting Houston. 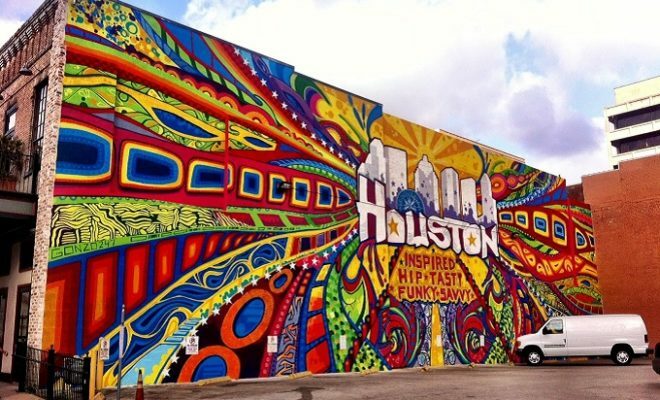 Located in downtown Houston, Market Square Park this iconic mural is not one to miss. 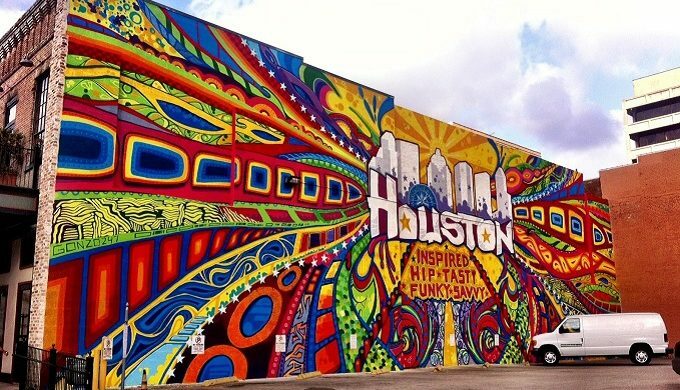 Take a photo at GONZO247’s “Houston Is Inspired” mural and show your love for Houston’s hip and fun side. 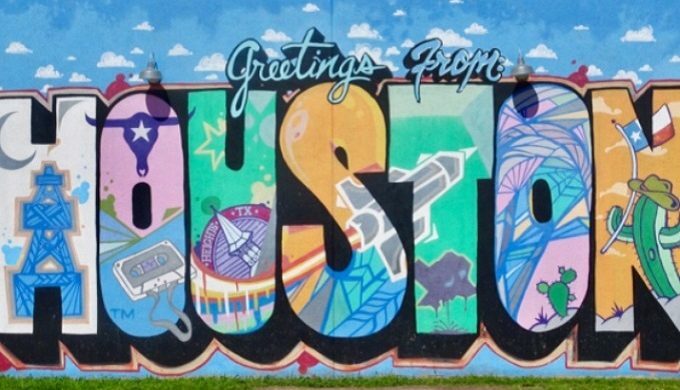 Located on the side of the gelato shop Gelazzi in Houston’s Heights neighborhood, this mural welcomes visitors and locals alike with its “Greetings from Houston” bigger than life image. In the mood to share a little love in through your photo? 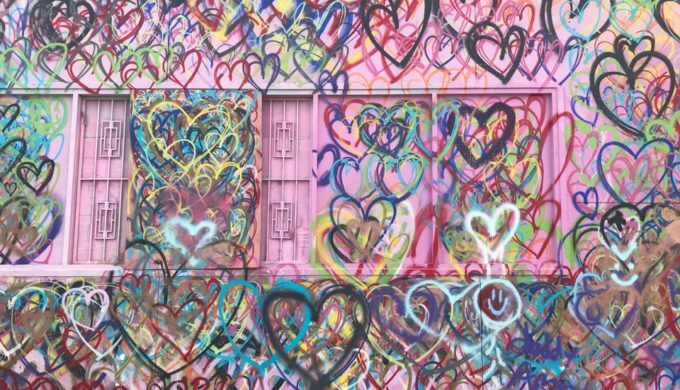 Then stop by the Houston Graffiti Building at 1503 Chartres Street to pose in front of this darling mural full of various hearts in different shapes and sizes and colors. Created in honor of the Houston Zoo, this colorful mural calls 2201 Washington Avenue home. It is one of five murals that was commissioned by the Houston Zoo in celebration of the Houston Zoo African Gorilla Forest back in 2015. 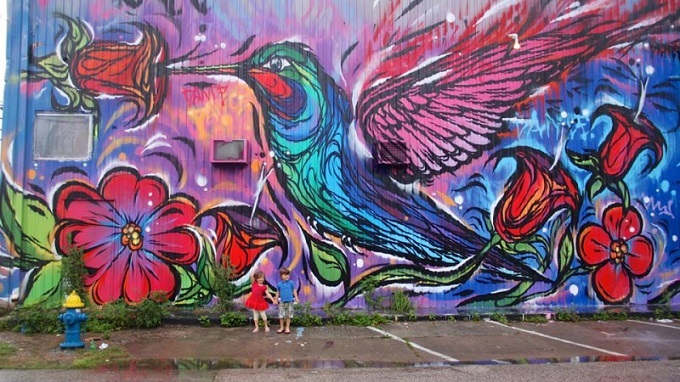 A colorful mural full of energy highlighting the hummingbird in a larger than life portrait of beautiful color. Located in east downtown Houston at 5102 Navigation Boulevard. Created by Brazilian artist FPLO during Houston’s first mural festival in 2015.